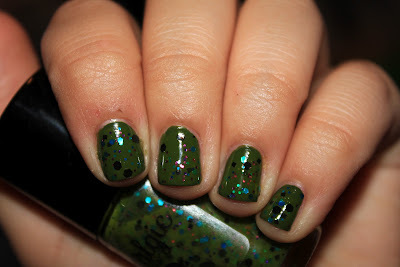 See Sarah Swatch: 2 Nostalgics and a Contest! 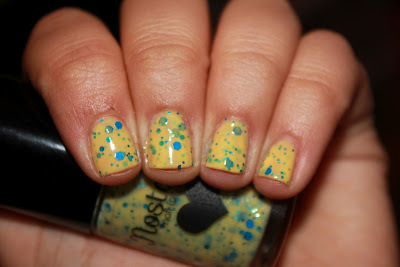 I have 2 Nostalgic polishes for you today. The first is Bitchcraft. 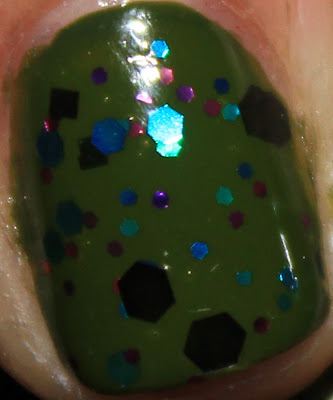 This mani is 2 coats Zoya Shawn and 2 coats Bitchcraft. Luckily, The Brain made up for it. Shown here at 3 coats. Doesn't this remind you of Spongebob?! 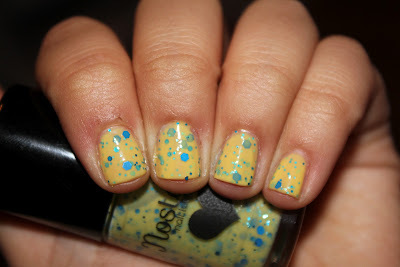 I like this one a lot, the blue glitters look so cute in the yellow base. And while it may not be seasonally appropriate, it's so happy looking! And also, the Spongebob thing. Seriously, how can that not make you smile? 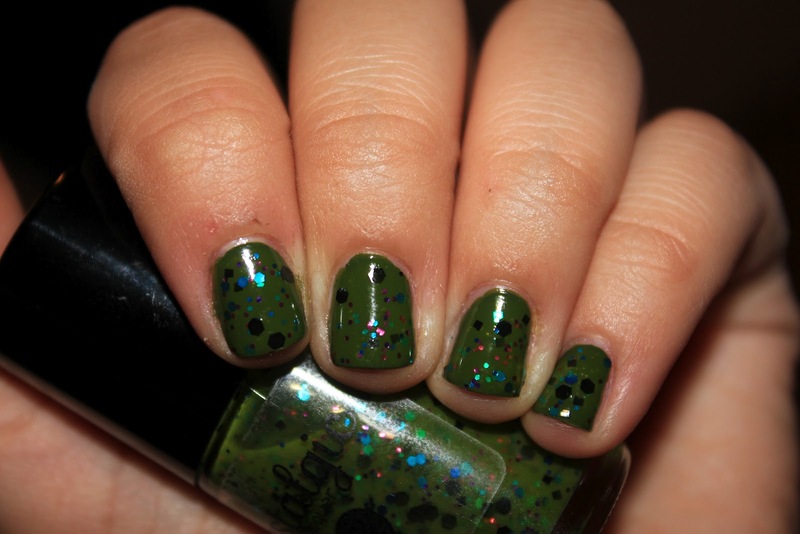 Thankfully, the formula was a lot better on this one, no fishing for glitters. And while it's a little sheer, it's definitely buildable. Not Too Polished- Winterfell ? Those are so pretty! I have no idea! Hmmm...I was thinking maybe Nerd Laquer 'Shiny', but then I thought maybe Maisie Shine 'Powder Puff', or Serum No5 'Friendly Tiffs'. I love both of these polishes!!! Sorry about the horrible formula with the first one though. I have no idea what polish that is for the contest, but it's absolutely gorgeous!!! And oh, in my search to try to figure out what it was, you just made me spend money on etsy, lol!! !